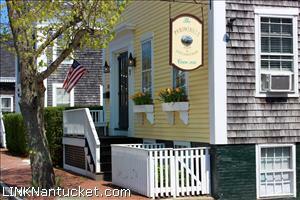 The Periwinkle is a well-established B&B in the heart of Town. This historic Greek Revival style Inn is located just moments from shopping, dining, the ferries and Children’s Beach. There are 10 Guest rooms located in Periwinkle as well as a lush backyard space perfect for guests to sit and relax. Lower Level Manager’s apartment, laundry and staff quarters.